If you are new to SEO you may have heard numerous things about meta tags and their importance. Hopefully today we will be able to shed some light on the matter. 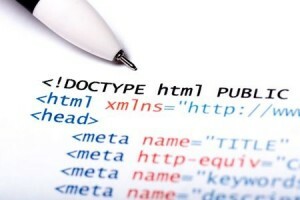 Meta tags are basically tags that are contained within the <head> section of a HTML document. In the past they were used by search engines to determine what a page was about; in particular website owners would include their keywords in the keyword meta tag of a page in order to rank for their specific keywords in the search engines. However, this led to a lot of people spamming the meta tag area and in the end, the amount of authority given to them by the search engines diminished to almost nothing. There are a variety of different meta tags that can be employed although most will not do a lot for an SEO strategy. Although a lot of weight used to be given to meta tags by the search engines, on the whole they are now unimportant elements of a website. Instead of using meta tags to determine what a webpage is about, the search engines now focus on other tags and the content of a webpage (their intelligence has greatly increased over the years). The keyword meta tag in particular is not used at all by the search engines in determining a web page’s authority. That said, some of the other meta tags can still be useful to an extent. These include the “title” and “description” tags. The name and description entered into the meta tags is what appears in the search engines – this is the first thing a user will see when they see a list of possible web pages to click on. If your name and description meta tags are coherent and well written, you may see an increased click through rate. It’s also a good idea to include your keywords in the title and description tags – just don’t spam. Although it probably won’t help your SEO strategy it won’t hurt it either. How do I Input Meta Tags? As said above meta tags are inputted using HTML to the <head> section of your page. HTML isn’t that hard to learn and there are a variety of sites online that will teach you the basics if you’re willing to put the time and effort in. However, we know how tedious this can be which is why we have our own Meta Tag Generator Tool that does all the hard work for you. All you need to do is input your information and our tool will generate the HTML code for you. Then all you need to do is copy and paste it into the <head> of your webpage. Whilst meta tags are not given anywhere near as much authority by Google as they were in the past, it won’t harm your SEO strategy to still use them. Just make sure that you don’t purposely spam them with irrelevant keywords. They may still have a little bit of life left in them (especially in the other search engines) so it’s worth a try. Are You Missing Out On Mobile META Tags? Are Keywords Still Relevant to SEO in 2016? Nice information about meta tags. Hey there, You have done a great job. I’ll definitely digg it and personally recommend to my friends. I am sure they’ll be benefited from this website. Your way of describing all in this post is genuinely pleasant, all be able to without difficulty be aware of it, Thanks a lot. This is a fabulous resourceful post. I am very interested to have stumbled upon such a fabulous piece of post. Keep up the awesome work! Very nice site. I like it very much. Good work ! I like that. Thanks ! Thank you for a very useful information, especially a newbie like me ^_^. I like that. Thanks ! I still use meta tags, but it seems not very important in google engine. Thanks for clearing up the issue of using tags in wordpress. I had a drop and found that I had about a hundred tags. Probably way too many. just told this more or less to a client on the phone. Checked google to verify, so thanks for the confirmation. I agree completely with your article…. I don’t know whether All in One SEO plugin works fine for this meta tag or not. Moreover, now Google does not allow for this meta tag because it seems spam for SEO….Anyways, you hit the point. No wonder why I see most of our sites ranking because of the tags we added. Thanks for this. I have to see to it that my tags contain my target keywords now.